Famines aren’t something that most people think about in the United States, but they have happened throughout global history and within the US. 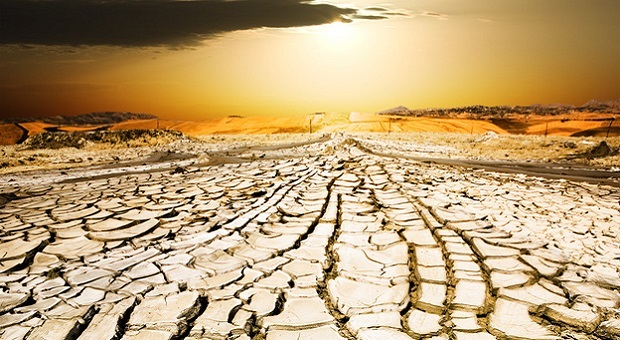 Severe droughts and unprecedented flooding has occurred throughout the world in recent years, while forest fires rage elsewhere, and aquifers all over the world are being drained at extraordinary rates. 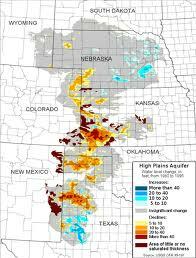 Depletion of the Ogallala Aquifer that underlies much of the high plains, stretching from South Dakota to the Texas Panhandle, is already impacting farmers in the region and forcing them to drastically adapt their water usage, convert to dry land farming, or simply leave fields fallow. Meanwhile, family farmers are finding that their wells are increasingly going dry. Some farmers are drilling deeper and deeper to reach their groundwater, while others have given up the ghost and plugged their dry wells. These are the sort of things that spell trouble for the food supply, and the issue of depleted aquifers is not a local one. In Florida, the aquifers underlying the state have been drained so much that large sinkholes are an increasingly common problem. Saudi Arabia and many of the countries in the Middle East are also over-draining their aquifers. Though they became self-sufficient in wheat production after they began tapping their aquifers in the 1970s and 80s, the Saudis now rely almost exclusively on imported grain from foreigners once again. Water resources are a serious point of contention in much of Africa, and indeed also stretching as far eastward as Pakistan, India and northern areas of China. Without those aquifers, huge swathes of irrigated farmland cannot be sustained, and water-intensive crops like wheat, grains, and corn cannot be grown. Reserve granaries around the world have also been depleted in recent years, continuously falling, like the aquifers, without sufficient replenishment of reserves. With careful planning and a touch of foresight, you can protect yourself and your family from the potential of a famine or serious food crisis. In most cases, a famine or serious food shortage doesn’t result in an immediate mass exodus from the afflicted region. People still go to work, some food supplies are still available and commerce continues, to varying extents. A one-year backup supply of food for yourself and your family is a good place to start. Companies such as Wise Foods, Mountain House, and eFoods Direct all offer supplies of dehydrated and/or freeze-dried foods. With a typical shelf-life of 20 – 25 years or more, these foods are designed for long-term storage and come in sizes ranging from 3 day supplies, 2 week supplies and 1 month supplies, to 3 month, 6 month and 1 year supplies. – Flour, flour and more flour! Unless you have some specific reason to avoid it and/or an alternative you prefer, flour is necessary for so many things, chiefly bread. A one year supply for an average adult is 200 – 300 pounds of flour; if this sounds like a lot, just think of how much bread, pasta and other dough you’ll be making if SHTF. – Powdered milk is immensely useful in cooking, as well as reconstituted for drinking. In addition to 40 – 60 pounds of powdered milk, 100 or 150 cans of condensed milk (just regular condensed milk, not sweetened, condensed milk) are also indispensable. – Yeast, baking soda and baking powder are all rising agents used in various recipes. Yeast is particularly important in bread making, so be sure to stock up on plenty of it. I have found the active dry yeast from Bob’s Red Mill to be a particularly good, versatile brand of yeast that I use in bread, doughnuts, pizza dough and other yeast-risen recipes. – Sugar or honey (or a lot of maple syrup); seriously, you’ll need 50 – 60 pounds at a bare minimum to get through a year; if you’ve got a sweet tooth or kids, you can easily double that amount. Be sure to stock up on salt, as well, you’ll want 5 – 10 pounds per person. – Meat, beans and TVP or other high protein food sources; you’ll typically need 100 – 150 pounds (if it isn’t freeze-dried) per adult, per year. Canned meats, including tuna, chicken, SPAM, corned beef and ham will generally last 1 – 4 years on the shelf. Canned beans will typically last 2 – 5 years on the shelf, and quite a lot longer when dried. – Cooking oil and butter, lard or other fats are integral to cooking, as well as an important source of energy and nutrients during a famine. You’ll want a minimum of 50 pounds of fats and oils, think more along the lines of 150 – 200 pounds if you have a larger family. Vegetable oils typically last several years on the shelves, as do most shortenings and lard. – Fruits and vegetables are crucial, especially during a famine because they become your main source of vitamins and minerals, the nutrients your body needs to function. The average adult needs upwards of 600 pounds of fruits and vegetables a year, but that weight is drastically reduced if you opt to store dehydrated or freeze-dried produce. Canned fruits and vegetables generally last anywhere from 2 – 10 years or so. 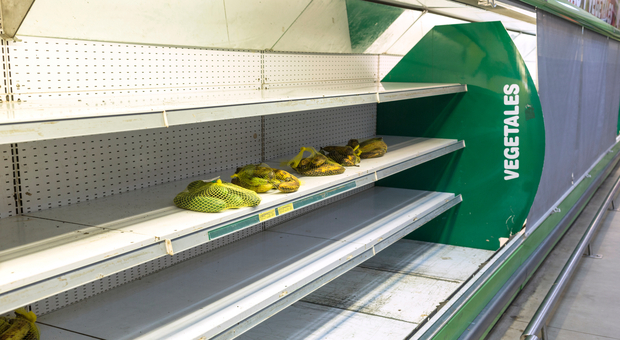 Unfortunately, not everyone can afford to stock up on a sufficient amount of food. If you can’t afford to stock up on food, for whatever reason (low or irregular income, small pension, etc. ), does that mean you’re just going to be left to starve during a famine or food crisis? I won’t lie, it is possible that you could wind up starving if you aren’t prepared when a famine strikes. History is full of the countless dead who starved during famines. You can still take measures to protect yourself and your family from going hungry during a famine, though. If you have the space for any sort of garden, start one now. 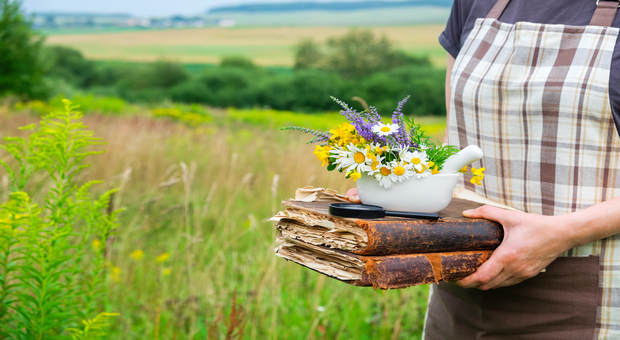 There is no time like the present to learn, and gardens take several years to fully establish themselves, partly because it takes most novices a few years to really start honing their skills. If space is an issue, look into vertical gardening or aquaponics, they are great systems for the space and/or water constrained gardener. If nothing else, consider growing some useful plants in window boxes. 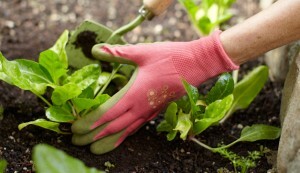 In many areas, you may be able to pay a small fee and receive the rights to a gardening plot in a community garden area. This is an option that may be worth considering for those who are limited in space at home, but it has its drawbacks due to the general lack of security that a community garden has. On the other hand, if you start working a plot at the community garden, you may get a chance to do some networking with the other people who use the garden. It’s up to you to weigh the pros and cons of this option based on your location and needs. Growing a summer garden during the goods times can not only put extra food on your table, but you may be able to harvest a pretty substantial crop. 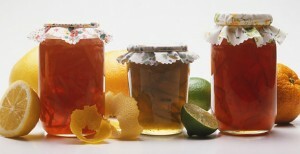 All that extra produce can be dried, frozen, dehydrated or canned for long-term storage; perhaps you won’t get a 20 – 25 year shelf life, but 1 – 5 years for home canned and preserved foods isn’t bad. Attending farmers markets, or making a trip directly to the farm when the crops you want are in season (strawberries in June and July, for instances, but corn and potatoes in late August, September and October), is another good way to undercut grocery store prices. Most farmers, even all natural and certified organic farmers, sell their produce directly from their farm at a fraction of the store prices. Buy it up cheap when it’s in season, and can it for your home storage. In the meantime, be sure to brush up on your home-cooking skills as well. If a famine or a serious food crisis does strike, you’ll need to know how to cook with all the stored food you have. Start learning how to make various types of bread now, learn how to make different soups, noodles and other foods from scratch, these are the sort of skills you will need. Make sure that the salt you get is IODIZED salt and NOT sea salt. You must have iodone in your diet unless you are allergic to it and then I am sure you still need some. There is sea salt out there that is iodized. I buy and use it now and have a few in stock. There is little iodine in the salt. Kelp and other sea veggies can be purchased dried and have iodine. There also greens supplement capsules which have significant iodine. Sea salt (and celery go figure) lowers blood pressure so it is good to have that rather than table salt. Can I eat kelp if I am severely allergic to shell fish and iodine? If the label says “sea salt” it has been processed (thanks to the FDA) and almost all trace elements have been removed. Make sure you do NOT get salt with free-flow agents added – they usually include some aluminum – not good! I suggest these brands: RealSalt, Celtic Salt, and most Himalayan salt. Bad advice. Iodized salt doesn’t really do much. If you eat foods real food with iodine you will be fine. I was surprised you didn’t mention AQUAPONICS as a resource. It is easier than in-ground gardening, as it utilizes some very simple principles of nature to provide both live fish and fabulous vegetables. The vegies grow in waist-high trays of gravel which is watered twice daily with the nutrient rich water from the fish tanks (Tilapia) underneath. The roots of the plants absorb the nitrogen rich nutrients and the purified water returns to the fish tanks. No weeds, no bending, the vegies grow like they are in an Olympic competition, and the fish are swimming around just waiting to be harvested at your leisure. This is NOT “hydroponics” but a more natural technique. Care of the garden and fish requires twenty minutes a day once the system is set up. All people interested in survival need to research and learn about this process. You might want to read the article once again. Aquaponics was definitely mentioned as well as verticle gardening. Yes, my bad, there was a one-word mention which I missed. That’s what happens when you comment before your first cup of coffee! However, I do think aquaponics rates more than a half a sentence as it is such a novel and productive system which many people are not yet aware of. As for the 7 thumbs down votes for my comment, wow, what’s that all about? Where is the love, fellow preppers? Kind of a critical mindset for a group of people interested in getting through tough times together…. (except for you, Taylor, thanks for bothering to clarify). I agree with you, where is the love? Well said! Didn’t mean to vote thumbs down!! I’m VERY interested in this method!! Just wanted to read others response & cllicked the wrong button! Oopps!! From the article, it was mentioned. If space is an issue, look into vertical gardening or aquaponics, they are great systems for the space and/or water constrained gardener. If nothing else, consider growing some useful plants in window boxes. Another very helpful article. Thanks so much Alec for taking the time to post all that you do. I purchased your aquaponics kit and asked you questions and you gave me a quick reply. I appreciate that. If any of you haven’t purchased the aquaponics kit I urge you to do so. You don’t have to have much skill to do this. It’s that easy. Great thing to have since we are facing a food crisis. Thanks again Alec your articles and info have been much useful and covered things I haven’t thought of. I see many folks preparing for a famine in the US. My thought is to prevent it in the first place. I’ve been trying to get Congress interested in a National Flood Water Pipeline System. When and where there are threats of flooding, the fresh water can be 1. piped to a location that need to replenish their aquifer; 2. piped to a reservoir in the mountains for future use or hydroelectric production; 3. piped to the desert areas to green-up the parched land; or 4. sell the excess water to Mexico for them to green-up their own desert areas. We taxpayers constantly pay for flood damages a dozen times every year. Wouldn’t you rather move the flood waters to areas where we grow food? The side benefit would be about 300,000 new jobs across America. People with jobs won’t be begging for food. The Flood Water Pipeline System would be a National Security Project that would benefit every American, especially the hungry ones. Comments? Been talking about this for years and my mother for longer than that but the government won’t do anything that won’t help them with their agenda’s and make them money (it’s always about the all mighty dollar and power) and besides that would give us some of our freedom back they want to keep us unquestioning slaves. I think its an awesome idea ….it make too much sense for the Government to go with it. What about people that are allergic to wheat and milk? What are the alternatives? Gluten free foods are pretty much nonexistent in long term storage food as far as I can determine. With more and more people with this problem this needs to be addressed. Coconut milk powder is available and can substitute for most milk recipes. Also, Coconut flour is available, and you can make delicious dishes with that, though not as a direct substitute. The best coconut products I have found are from Wilderness Family Naturals (I have no connection with them – just excellent products!). The only oil I cook with is coconut oil, as it does not go rancid, stores very well, and tastes good. I make fantastic hot (or cold afterwards) chocolate with coconut milk, unsweetened pure (no dairy) bakers chocolate, and a bit of maple syrup. I just throw it all into my Vitamix and in a few minutes it is steaming. To sweeten you could also use stevia. Oh, forgot to mention that most coconut products have a long shelf life when stored properly. It really is healthy stuff. You might do well to think about storing up some rice. Rice is not a good storable because it is highly perishable. Look to hundreds of helps in books and internet regarding gardening, orcharding, food storage, root cellars, meat production and processing – that is, how to be self-sustaining including water and power production. If you are on a pure diet such as we are talking about here, you will find out that you are not allergic to wheat. I cannot speak about milk but try goat’s milk and see how it is for you. we recently bought a herd of goats. They are Nubians and their milk is really good. In fact it is better than cows milk. My kids were both allergic to dairy milk they did great on goats milk and its much more filling. Just read the comments about storing flour and rice. If you are worried about weevils getting in it, you can oven seal it in jars. I use regular mason jars with the two part lids. Fill clean dry jars with DRY foods. I set the jars in a 9X13 cake pan. Place in a 200 degree for one hour. Take jars out one at a time, put on the clean dry lids and listen for the Ping when they seal. I have sealed almost everything dry you can think of, from popcorn, to dry jello and pudding mix and cake mixes. The rice and flour, corn meal, etc keeps for several years. I’m using beans, rice and flour that were sealed in 1999. The weevil eggs are in the dry products when you buy them and the heat kills the eggs. Just DO NOT seal anything with liquid in the oven, liquid requires a pressure canner. Where did you get the loony idea that rice and flour doesn’t store well? A comment below suggests you’re worried about bugs. Are you too proud to pick a weevil out of your flour? 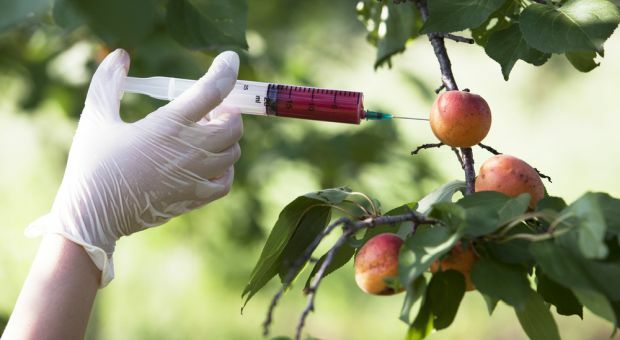 Are you also one of those loons that throw away good food because the government provided expiration date (that they just pulled out of thin air) is past? Bugs are not a problem and are a good source of protein. When you get hungry, or better yet when your kids or grandkids get hungry, believe me they won’t care if there is a bug in their food and they may feed you to the bugs if you throw out perfectly good food they could have eaten and survived on. My wife is allergic to gluten (celiac disease). We raise some corn in our garden and save the cobs that get old. They are easy to shell, store, and make flour with. If dry, they keep for several years. That, along with rice and potato flakes make gluten free flour.Yeast does not work very well with this flour, but baking powder does. Baking powder is available bulk for a fraction of what you pay in the can. ANYONE: HELP. Do you know where I can get good info about aquaponics methods and equipment??? I would REALLY appreciate info on honest, not too expensive Companies where I can go!!! Thanks. Regarding the gluten situation in food storage, having just read “Wheat Belly” , and also not surprised by much of anything anymore, it appears that our GMO miracle has managed to turn our wheat staple into a body poison. Too strong, possibly, but when wheat now spikes blood sugar higher than sugar itself, something is wrong. If you haven’t read “Wheat Belly” hold your comments until you do. I have to believe you will certainly be changed in your opinion of today’s wheat product and its effect in the body as I was. Flour? Seriously? Flour begins to lose its nutritional value after just a few months. One should store wheat berries, or other grains, and a way to grind them. Also, practice cooking with whole wheat, because it’s different than cooking with white, or partially white baked goods. You also mentioned that rice doesn’t last long. I’ve used brown rice that is a year old and it was still very good. White rice will last lots longer. I have ground flour and made whole wheat bread for years. The key to it rising is to make a sponge with all the heavier ingredients (coarse wheat, cornmeal, rolled oats, by putting in water* about 170 degrees, then let it cool to around 110 degrees and add the yeast & warm water mix, which will rise and and be foamy (add a teas sugar). After the whole mass is infused with the yeast, THEN add salt, oil, powered milk and honey, which inhibits rising. *1 cup per loaf. Hi, could you tell me the brand of mill you use? Is it hand-grind? Thanks if you see this and answer. I’m surprised that you didn’t mention raising chickens for meat and a source for eggs. That or powdered eggs. That can be nearly as important as powdered milk. I do like the one post about rice. Because of the changes made to wheat more and more people are not gluten tolerant. Research your storage methods and be sure to purge the oxygen using a dry ice packing method to replace the O2 with CO2 before you seal the bucket. 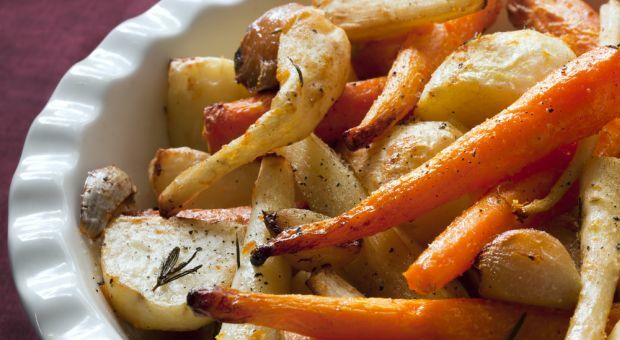 One of the best sources of carbohydrates is potatoes. This provided the energy and calories for much of the European expansion. They can also be fermented to make vodka. Just let the eyes of the potatoes sprout, cut them out and plant them. You will need a cool place or root cellar keep the harvested produce. You can raise a few pigs without too much trouble as well as the chickens previously mentioned. Do not let the pigs get too big. They can be dangerous. Chickens are subject to raids by hawks, eagles, foxes and raccoons among others. Pigs are not, but they want to escape their pen. Read up on pigs & chickens if you are going to raise them. Rabbits are very popular in Europe. Geese are a possible source of eggs and meat, but perhaps best of all, they make terrific watch dogs. They cannot be bribed with a steak as a dog might be. Health wise, what are you going to do if you get a tooth ache? If you are diabetic? On daily medications. A dozen band aids won’t co the trick.